Halloween is just around the corner, can you believe it?! One walk through a grocery store and you will find costumes and candy in abundance. Halloween marks the start of the year when everyone tends to let their diet slide on account of celebrating. “But I love candy corn! I only get it once a year…” (that’s me). “Pumpkin Spice Lattes are only in season for a short time!” (that’s my mom). “Cookies… I loovvveee cookiesss” (that’s just about everyone). Instead of derailing this early in the season, stay on track by making dishes that remind you of the fall spirit, but won’t derail your diet. Today’s post is just the ticket for feeling indulged with fall. This Pumpkin Protein Smoothie is sweet from fall spices like nutmeg and cinnamon; it’s packed with healthy vanilla protein powder to fill you up for the morning, and is full of fiber from the canned pumpkin. 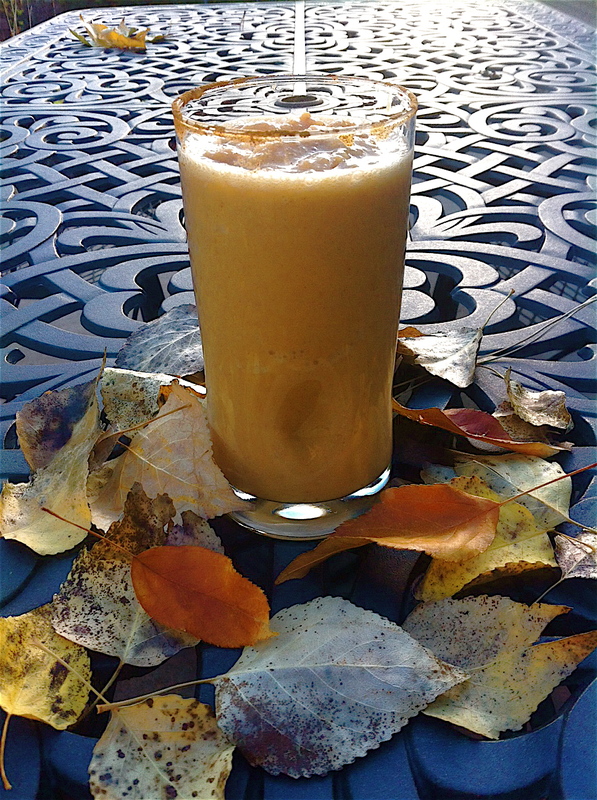 Pumpkin is a great low-calorie source of fiber; there are about 4 grams in this smoothie. Throw in a small spoonful of flax seeds and you are on your way to a healthy morning and holiday season. Put all of the ingredients with the exception of the ice cubes into a blender. Pulse a few times to combine. Add the ice cubes and blend until the ice is completely crushed.